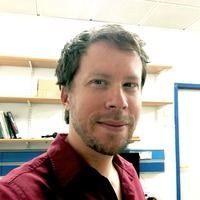 Oren is a postdo c in the CouzinLab in the Department of Collective Behaviour, Max Planck Institute for Ornithology in Konstanz as well as in the ChenLab in the Department of Stress Neurobiology and Neurogenetics at the Max Planck Institute for Psychiatry in Munich. He was previously a postdoctoral fellow with Alon Chen and Elad Schneidman at the Weizmann Institute of Science in Israel where he also undertook his Ph.D. in Neurobiology and Computer Science with Elad Schneidman on “Modeling Social Interactions in Groups of Animals: A Maximum Entropy Approach”. He obtained an M.Sc. from the Weizmann in Mathematics and Computer Science and his B.Sc. from the Hebrew University in Jerusalem in Physics and Mathematics. He is working with Iain on developing and utilizing new technologies for the 3D tracking of animals in groups as well as computational tools for investigating social interactions and consistent inter-individual behavioral differences.